I’m behind, again, to brace for incoming semi-spam of posts. First off, here’s a photo that I seem to have lost in the recesses of my phone gallery and neglected to post..
Major dork face going on there. 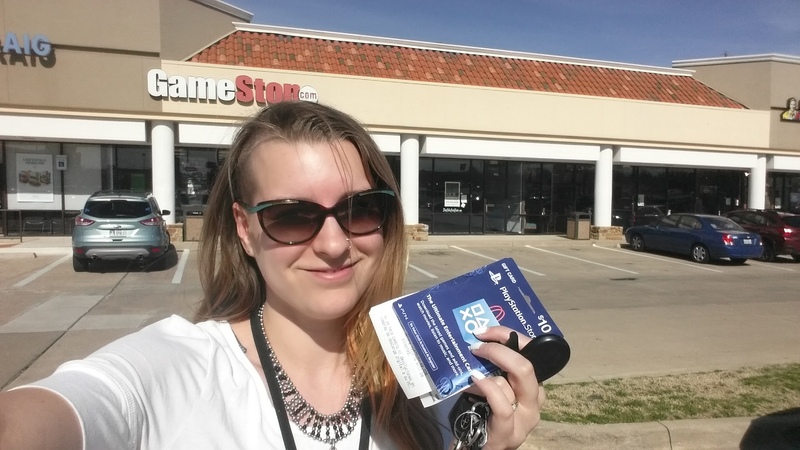 Went to Gamestop on lunch, bought a PS Store card to buy PS Plus with. Pretty standard stuff. It was also @TiffToxic’s last day at that location. 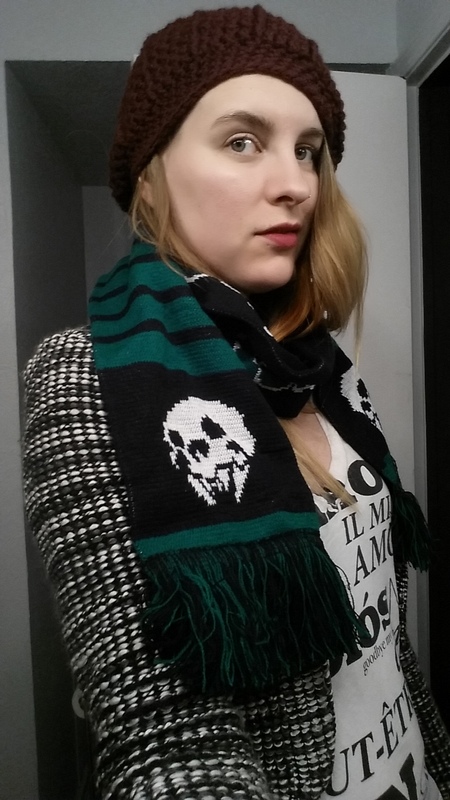 That brings us to the matter of the Orcs Must Die Unchained scarf from Pax East. I don’t always count swag – if it was super low effort to get, and not a substantial item I generally ignore it. But, counting this as its a nice item, and was kind of a gift. My friend @PezRadar works on the game, and got me this without my having to wait in line. And that’s how you dress like a video game hipster! For more on the Video Game Visibility Project, see the original post here. With this project? I’m taking a photo with every video game related item i buy or is given to me for a year. The first post is linked in this one, it has all the reasons why.